Do you think you will be letting your groom to choose the wedding ring for you, or are you going to search for one yourself ? I'm personally wouldn't be able to let anyone else to choose something i am supposed to wear for the rest of my life. Even my engagement ring we went and choose together with my fiance. I wanted something very simple and elegant, and even tho i first wanted a white gold ring, i somehow fell i love with light yellow gold. One of the problems is that i have kinda expensive taste. I do not like LOTS of bling bling, or over the top things, but i do like quality and elegance - which are always costly. I've been trying to think of the ways to get a nice but less expensive ring. 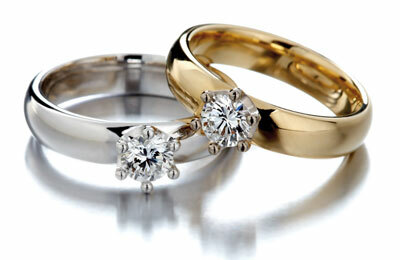 Here are some things for you to think about when searching for your wedding ring. One thing is sure, the jewelry is very expensive at normal jewel stores. The "air" in the ring price can be up to 50%. It comes mostly through name of the designer, workmanship and stores own profit. So if you decide to go and buy the ring from a jewel store i would recommend to try to lower the price. I know several couples that could easily get 20-25 % discount. It can actually be cheaper to design your own ring from the start especially if you have for example an old ring your want to remake into your wedding ring. 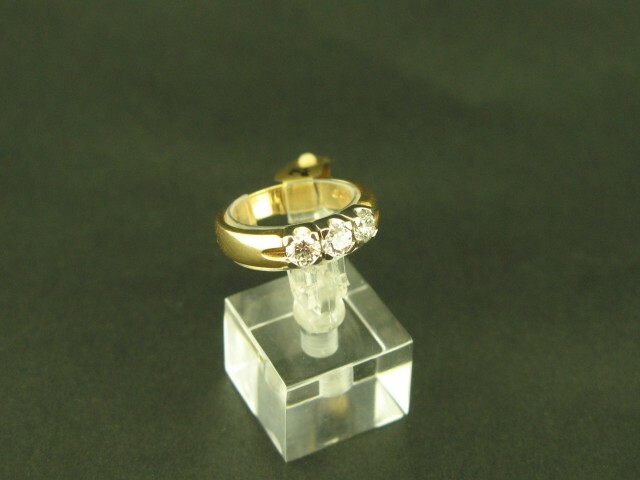 This is actually a steal ring, but isn't it beautiful ? I never thought i would actually like coloured stones, but this ring is stunning! 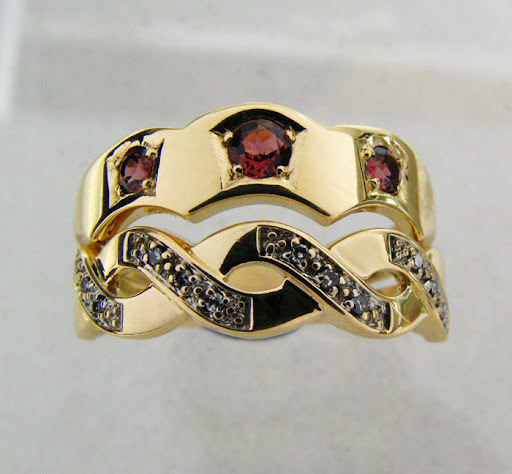 If you are choosing both engagement and wedding rings, why not consider making them perfectly match together ? Your ring doesn't necessarily needs to have stone in it, your taste will determine what kind of a wedding ring you will have . Or can use really small stones. Your engagement ring looks great! I love how it DOES look very much like the One Ring. Maybe you can put it on a chain to wear around your neck as well. Aaha! The pictures you posted are absolutely beautiful. Your dream wedding ring is gorgeous as well. I hope that the ring you eventually got or will get lives up to your expectations.